This study has 10 sessions, incorporating an introductory session and 9 lessons. The Study Set includes the Study Guide by Little Rock Scripture Study Staff and the New Collegeville Bible Commentary The Gospel According to Matthew, by Barbara E. Reid (Liturgical Press). Barbara E. Reid, OP, PhD, is professor of New Testament and Academic Dean at Catholic Theological Union in Chicago. She is the author of Parables for Preachers, Choosing the Better Part?, and co-editor of the Collegeville Pastoral Dictionary of Biblical Theology, published by Liturgical Press. She has also published various journal articles on New Testament topics. 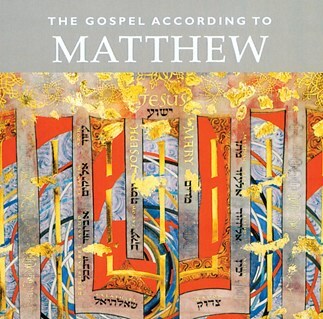 These lectures correspond to the ten sessions outlined in the Study Set for The Gospel According to Matthew.